The Kings Church Function Centre located in Buderim provides the church with office space coupled with a large function centre. The function centre provides a column free area that is some 38m wide x 48m long. 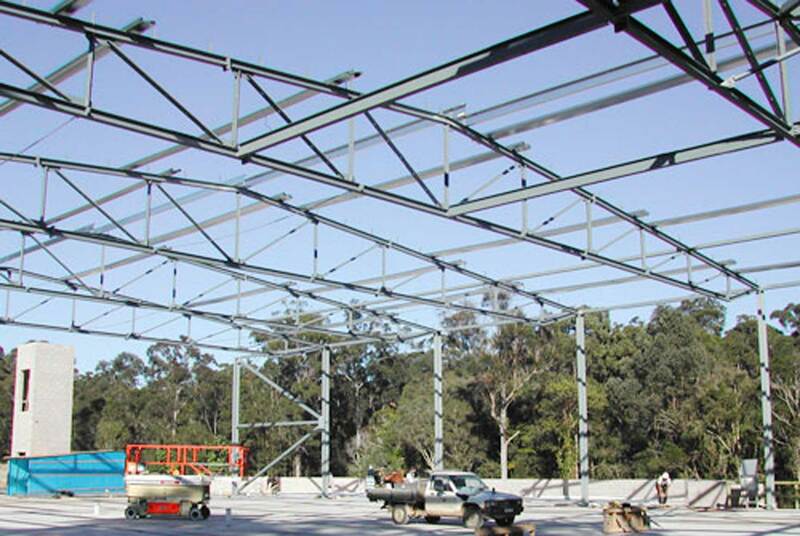 To limit the steel tonnage we proposed to span the area with a series of fabricated roof trusses. The building is braced via roof plane and K Brace wall panels. Numerous architecturally rich components make up the entire structure including the entrance foyer with its double storey glazed wall and glazed skylights. Economical use of steel was adopted throughout the building. The Century 21 project involved the renovation of an existing single storey building previously a residential dwelling. 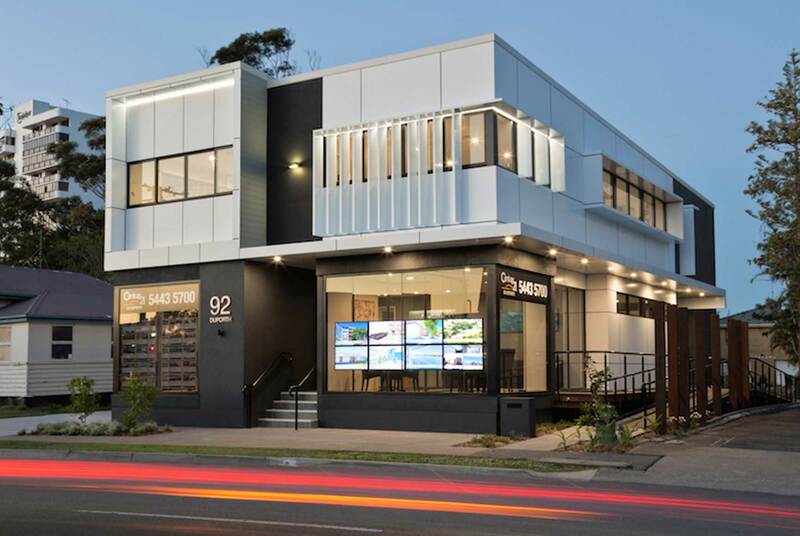 The renovation resulted in a modern 2 storey commercial building for the client. 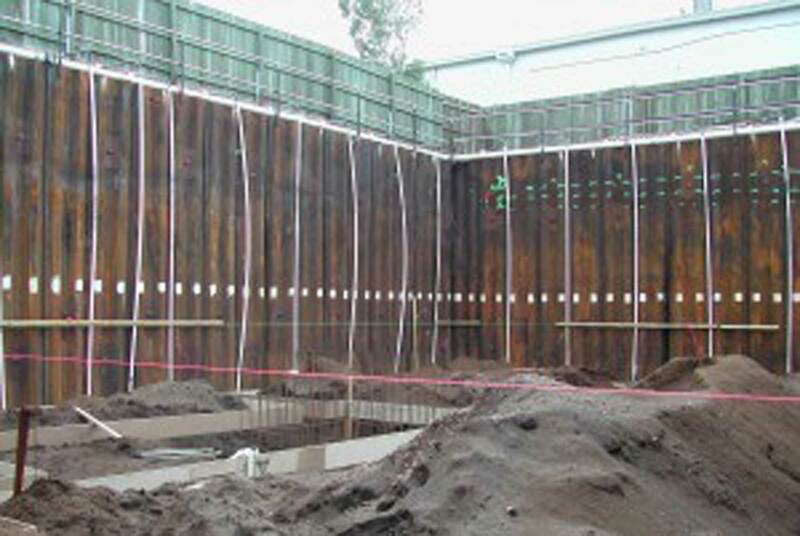 We supplied Geotechnical Structural and Civil design services for the project. The structural design required a number of innovative solutions to allow a new double storey building to envelope the existing single level structure. 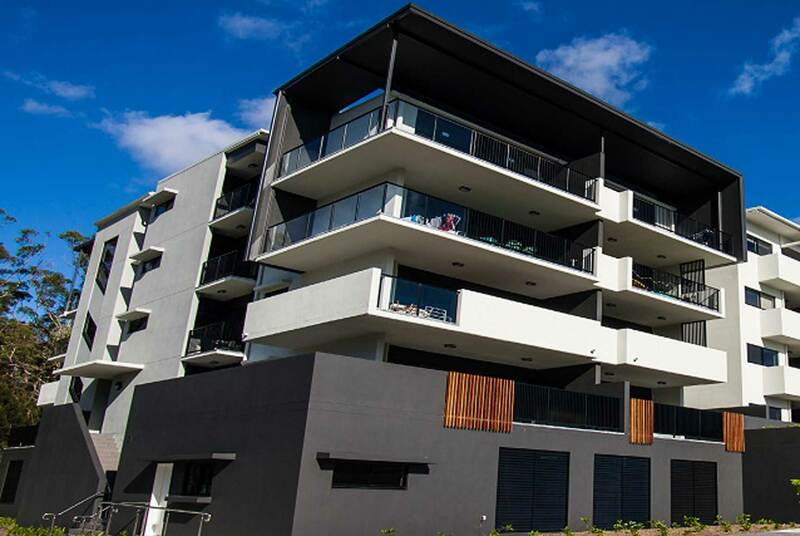 The Foundry is another Development by the Habitat Group. Challenging ground conditions with double storey basement excavations adjacent existing buildings were some of the challenges successfully overcome by the team at SCG Consulting Engineers. Clever use of walls as supporting beam elements resulted in simplification of the transfer slabs for the building generating savings for the client. We provided our client with structural documentation for a water tight basement together with detailed documentation for the maangement of the site throughout the construction process. The pictures show the de-watered basement ready for foundation works to commence.